It's becoming Noah's "thing" to never smile when we take a photo together. If I take one on his own it's all smiles and silly faces but when I try to take a nice one of us together well then I get faces like this! Ha ha. I tickled his legs, sang funny songs, blew raspberries on his neck and would he smile? Would he heck! So here are our photo's from July! August I aim to have a smile! 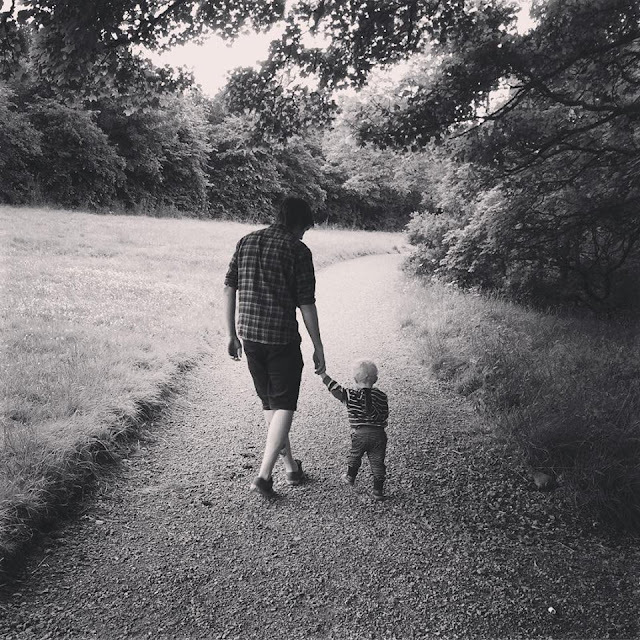 20 months old and hasn't it flown by. 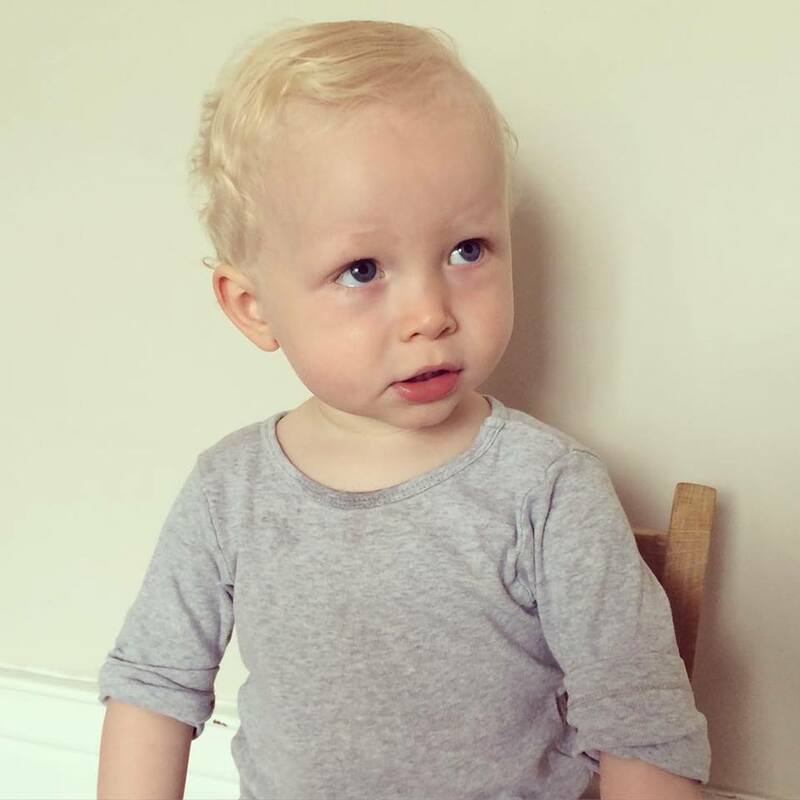 Noah's personality and humour just blooms every month. He is so witty and comical and will do anything to make you smile and laugh. I find this so endearing. He's very social, humorous, gentle, inquisitive, energetic and caring. On the flip side he's very short tempered when he can't figure something out, has a short attention span and is stubborn when he wants to be. I don't know where he gets that from, haha. 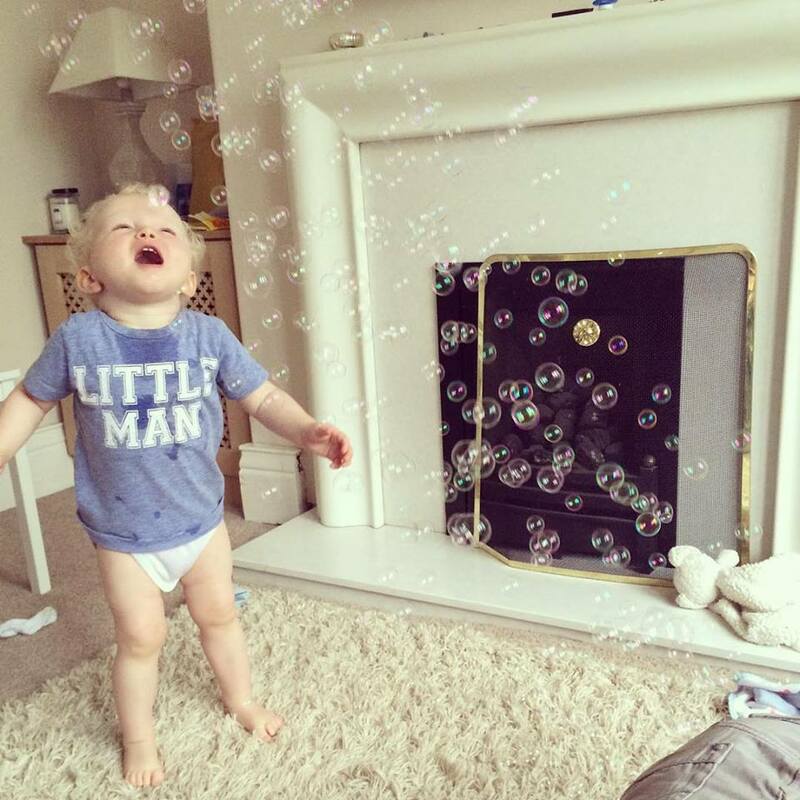 He now wears mainly 18-24 month clothing with the odd 12-18 month t'shirt. I weighed him this week and he weight 1st 12lb. 26lb! He is still slim, slender and I think tall for his age. On the health front he has been fine thankfully. No colds and no sick bugs. He's still on 12 teeth and I'm wondering when more are going to come through. Three set meals, a snack, two big bottles of cows milk and a flask of water. That is what Noah normally eats and drinks during a day. I try my best to keep his diet balanced but I do like to treat him every now and again. Thankfully I have been fortunate with his eating as there isn't much he doesn't like and he's a huge lover of fruit, veg and cheese. He usually sleeps 8pm-8am and has a 2 hour nap after his lunch. This is ideal for us and though he's had a few days where it's been hit and miss he tends to keep to that routine. New word for this month is "YEAAAH!" He knows half a dozen words and I've noticed that he tries to repeat me a lot more recently. He isn't putting two words together just yet and does still babble from time to time. He can also say go, choo choo, poo poo, choc choc. Noah can now give two thumbs up! This is literally my favourite thing ever because he knows what it means too! When he approves of something he will give you a thumbs up and I can't help but laugh and smile. He can point out a variety of different pictures in books. We are going to be introducing flash cards soon. He is trying to repeat everything that I say now and is really trying. He can scroll through videos on my iPhone and press play. Nerd in the making. 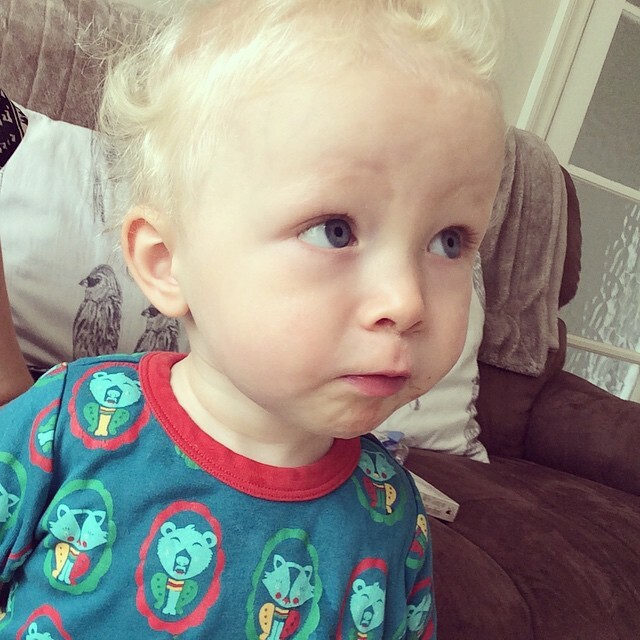 Surprise egg videos, tidying up, putting things in the bin, playgroup, playing out, going for a walk, swings, song time, visiting family, apples, cars, vehicles, trains, sirens, aeroplanes, kisses, thumbs up, the cats, sticker books, splashing in puddles, running, jumping and watching videos of himself. A great capsule summer wardrobe will make it easy to get your little one ready for their next adventure. 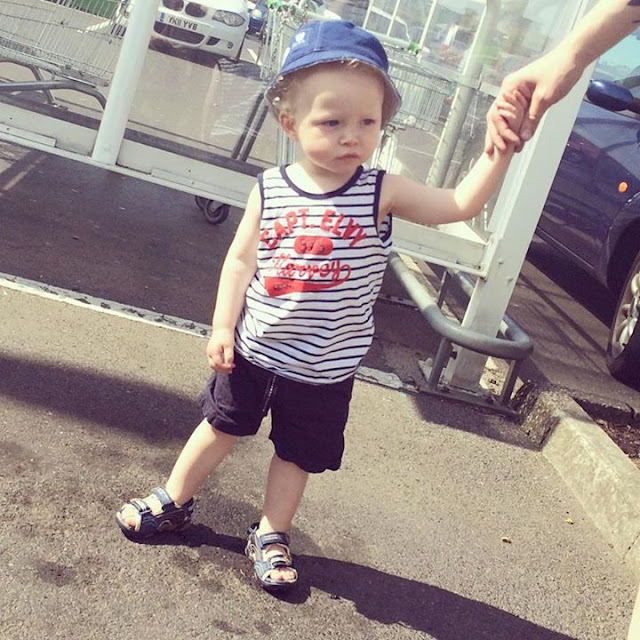 I worked with leading designer kids clothes retailer, Strawberry Children to put together a guide of what you need to make sure your youngster’s summer style shines through. 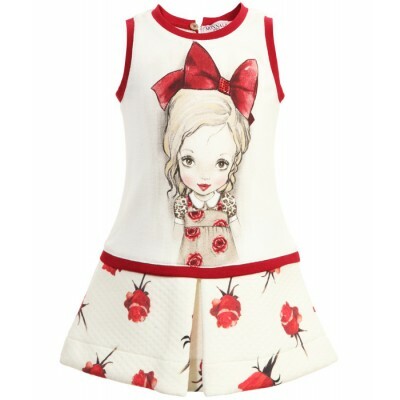 Little dresses are summer must-haves, keeping little ones looking and feeling cool throughout the day. Dresses such as the rose sleeveless dress from Monnalisa are as easy to pack for holidays as they are to wear for a family barbecue or a special summer day trip. The red and cream colour-scheme is pretty and stylish - adorable right? Keep young boys feeling comfortable but looking great in a cute romper. 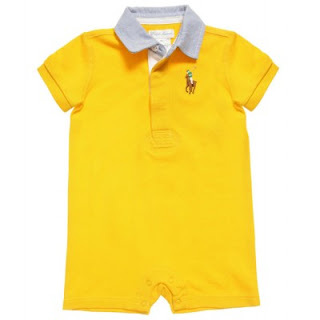 The 100% cotton baby boys romper from Ralph Lauren combines the style of kids designer clothes with a great summer colour. The poppers make it really easy to change those dreaded dirty nappies too. 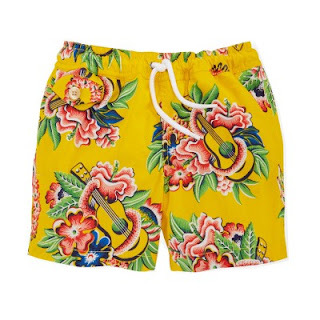 Summer is all about trips to the beach or afternoons in the paddling pool, and little ones will really make a splash in a pair of funky swim shorts. These floral swimming shorts are a top choice for style and comfort. The elasticated waist and drawstring ensure the perfect fit on your little man. 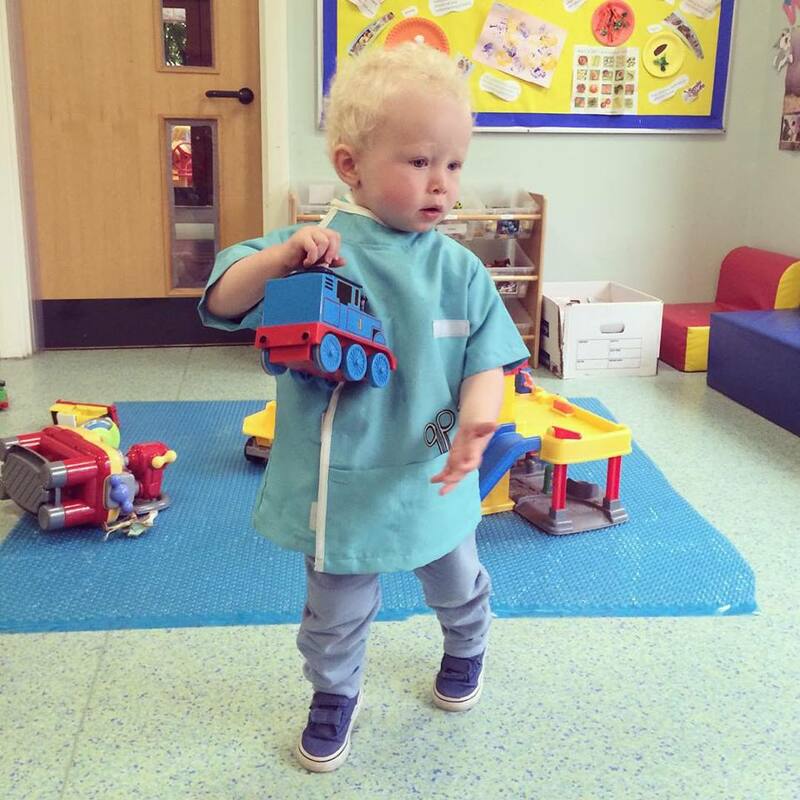 Polo shirts have to be a mainstay of any boy’s wardrobe given how versatile and comfortable they are and this little white and pale blue polo is as cute as they come. 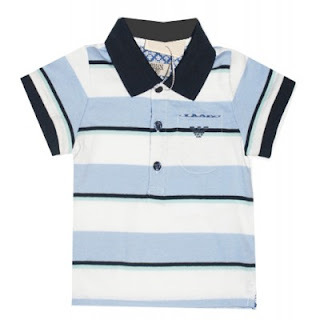 The stripes and three-button fastening give it a stylish edge, while the 100% cotton will help keep your boy smiling on even the hottest of days. The perfect summer shoe needs to be as practical as it is stylish. 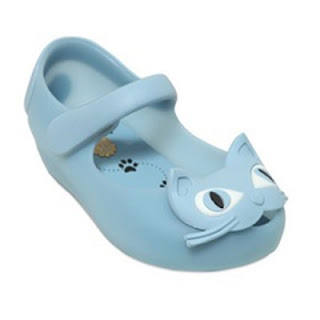 Take the Mini Melissa Cat Shoe - Have you ever seen something so cute? If only they made adult sizes! This is a shoe that would work equally as well on the beach as it would for a theme park day out. Made from from incredibly soft MelFlex plastic, your little one won’t be complaining about her tootsies. 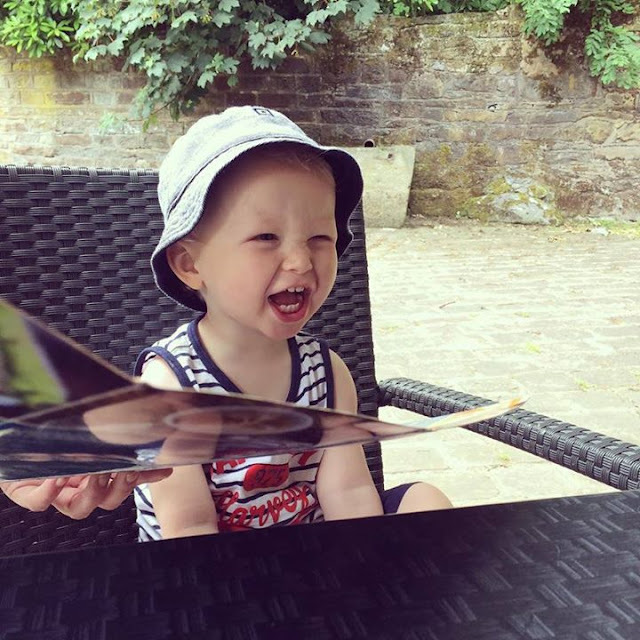 A sun hat is essential to keep your little one safe but that doesn’t mean it can’t be cute as well. 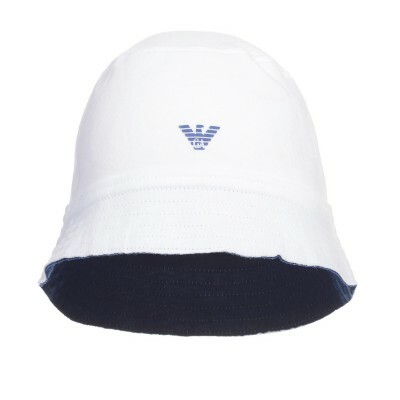 The Armani Junior Baby Boys Sun Hat, available in pale blue or white, will stay on with the minimum of fuss and can transform any outfit into a designer look. Its soft jersey cotton makes it comfortable for small children to wear and a simple hand wash will keep it looking its best. And finally, my absolute favourite! Gorgeously girly accessories can transform a summer outfit in seconds. 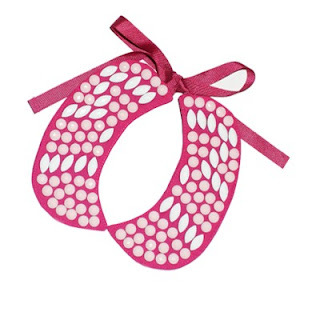 A simple t-shirt could become something very special with the addition of this jewelled collar from Monnalisa. 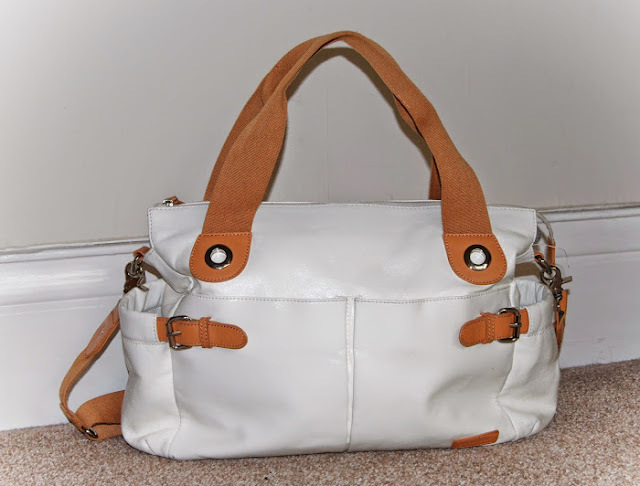 Lined with soft cotton and with an adjustable ribbon fastening, this is the ultimate in easy-to-wear style. Have I missed anything out? What’s your favourite summer piece in your little ones wardrobe? - This is a PR collaboration. After buying and renovating out first home last year money has been tight. 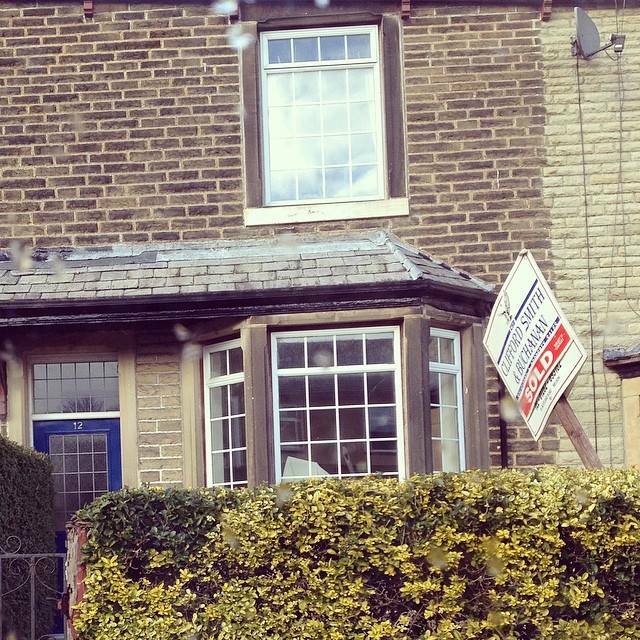 We knew a mortgage and full house renovation was going to be expensive but we didn't really know to what extent. Throw in the fact that I decided not to go back to work after my maternity leave we have had to make some major cut backs. Our renovation project has pretty much been completed but now we are drawing up plans to convert the attic into a third bedroom. It's like the work never stops! Our next project is going to be rather costly so I've been looking into peer to peer lenders as that is an avenue we could go down. One website I have been looking into is Lending Works which is an online peer to peer lending service. Peer to peer lending is also known as martketplace lending and is a relatively new and innovative concept which is booming worldwide and here in the UK too. 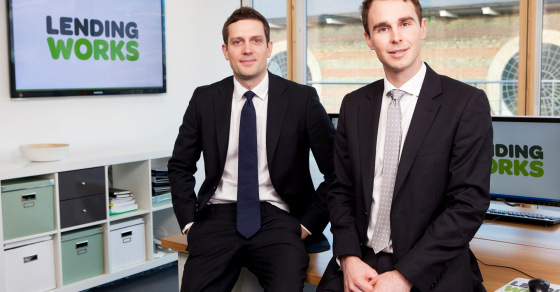 This service allows lenders to benefit from a bigger investment than those offered with a standard saving account or ISA. Borrowers also reap the benefits too as they receive low cost loans with no hidden fee's and lower interest rates. Peer to peer lending or borrowing is something that I wasn't aware of and I will certainly be taking it into consideration when it comes to borrowing or investing in the near future. Have you ever invested or borrowed? Is this a service you may try? I know that these type of posts aren't for everyone but I personally love them. There's something I find very enjoyable about peeking into someone's changing bag and seeing what they travel with. Do they pack lightly or are they like me and pack everything and the kitchen sink? 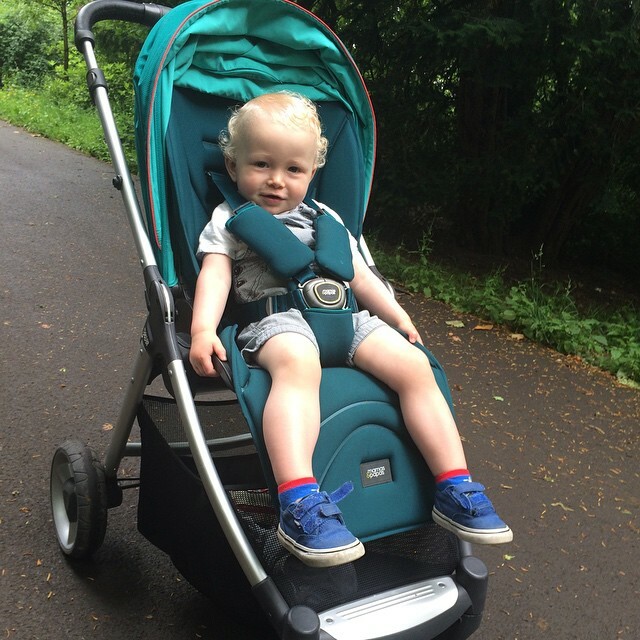 Noah is now 20 months old and I can usually get away with packing lightly but on days out I certainly need to make sure I take everything that we might need. It's better safe than sorry as it would be just my luck that the one item I forgot would be the one item that we need. Above you will see my ultimate essentials and nothing more as I didn't want to include that half eaten pack of wotsits or those three odd socks that have been lurking in the deep dark corners of my changing bag for the last two weeks! I'll spare you that much! 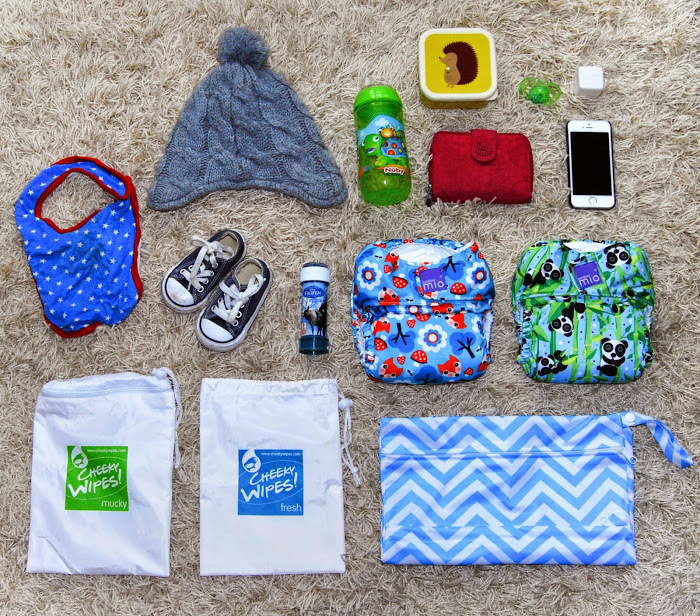 We use reusable nappies so I always pack a couple with a wet bag and resuable wipe pouches. A spare pair of shoes, hat, spare clothes, bibs, dummy, water bottle and bubbles! Then of course my bits and pieces such as my purse, phone and lip balm. Last but certainly not least I have to mention packing snacks and lots of them. Snacks are vital for days out with a toddler or young child and is probably my number one essential. 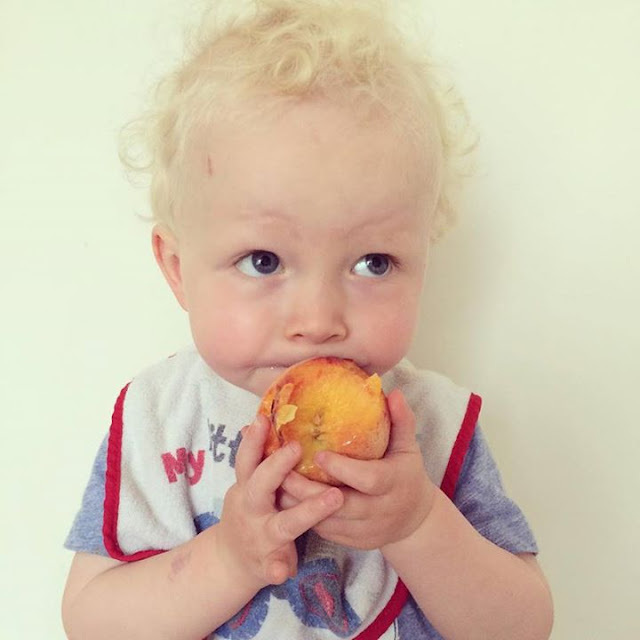 Noah's favourite snacks at the moment are Raisins, Pasquiers Brioche, cheese and apple. Noah loves snack time so we make sure we pack a different variety of foods on our trips out and always have something on hand. No one wants to see a toddler when he's "Hangry!" What are your handbag essentials? Noah usually goes to visit his Nanna on a Sunday but we've decided to alternate it now so then it's not all the time. 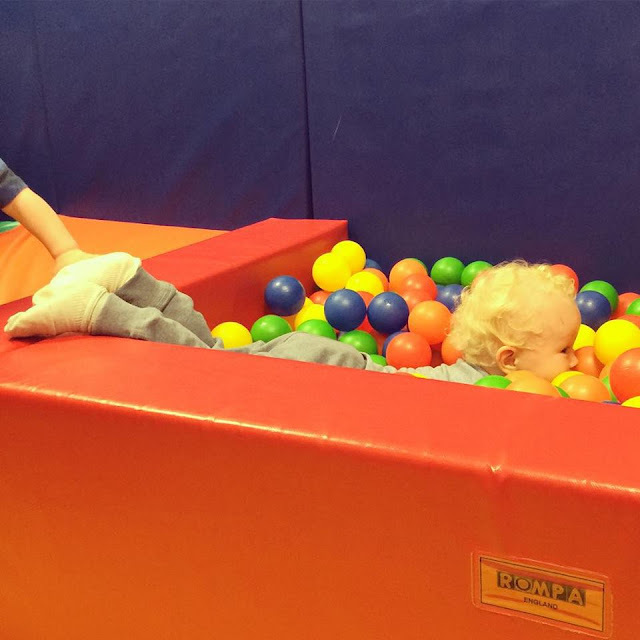 Sunday we took Noah to soft play and he had an absolute whale of a time. I even got in the ball pit with him! 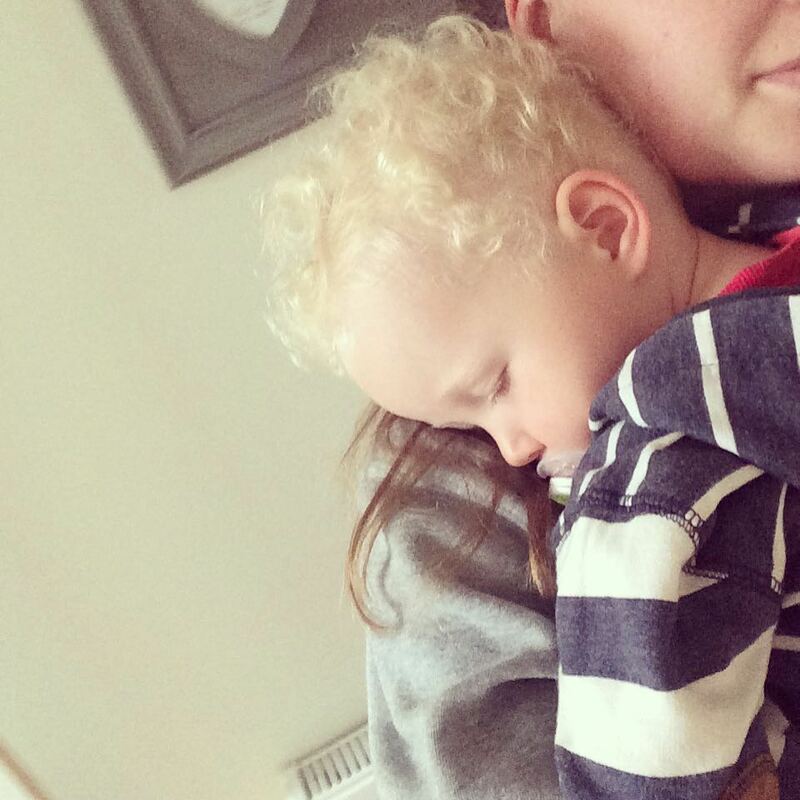 Monday was a funny old day and we totally missed playgroup as Noah had a rough night and then slept in. I didn't feel like rushing around like a headless chicken so we had a nice chilled out day instead. 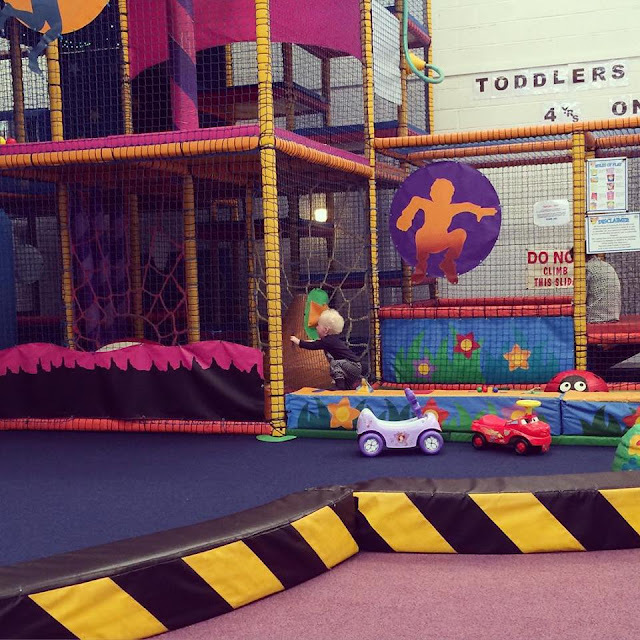 I felt guilty that we didn't go to playgroup on Monday so I decided to take Noah to Stay and Play on Tuesday. Trust us to turn up and be the only one's there! It didn't stop us having fun and I dressed him up in a few outfits. Here he is as Dr Kelly! Ha ha. Nick met us there after he finished work and then we went out for a carvery for tea. Wednesday my Mum and Sister came to visit for the day. The weather was dreadful so there wasn't much we could do. 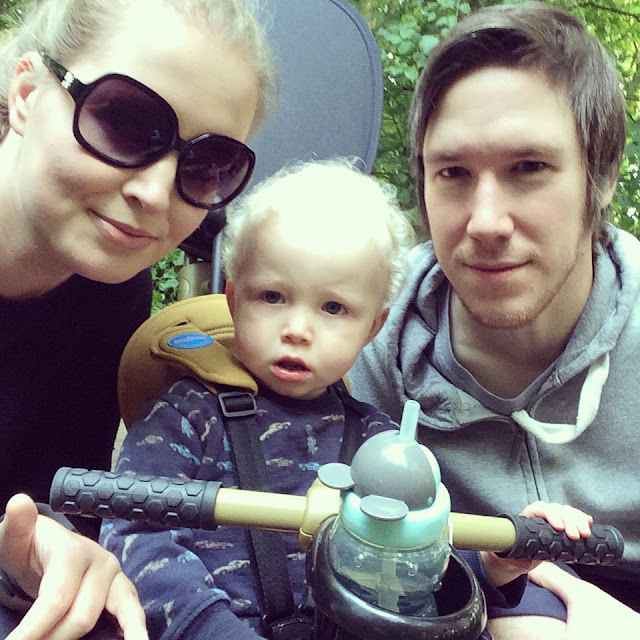 We took Noah to a sensory room for an hour or so and then went for a walk. 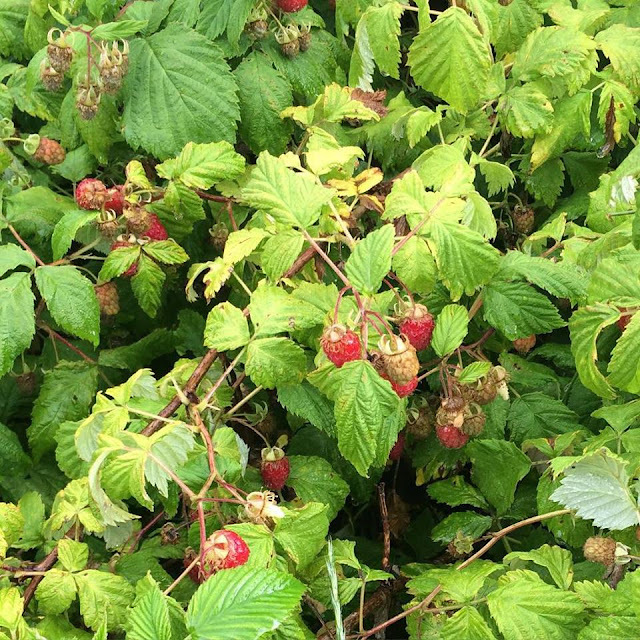 The raspberry bush near the allotments on our street had finally started to fruit so I've picked a punnet here and there. Noah wolfed them down and ate so many that his nappies smelt of them! The weather has been dreadful for most of the week. 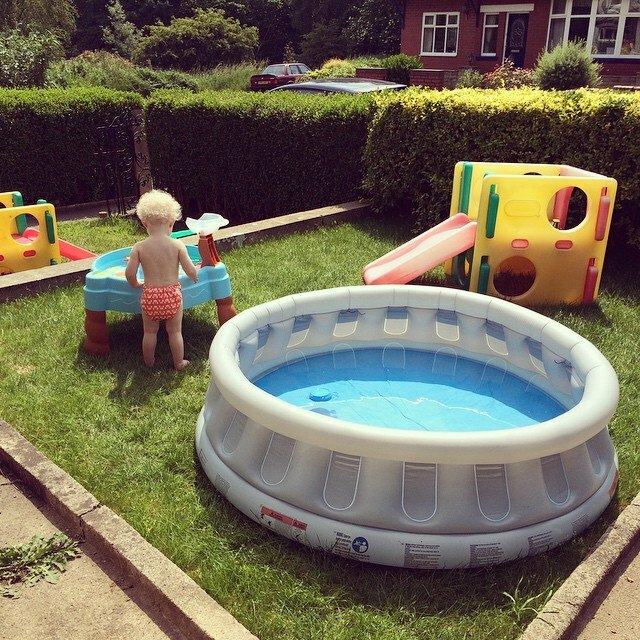 Where has summer gone? This has led to us having numerous rainy day activities. 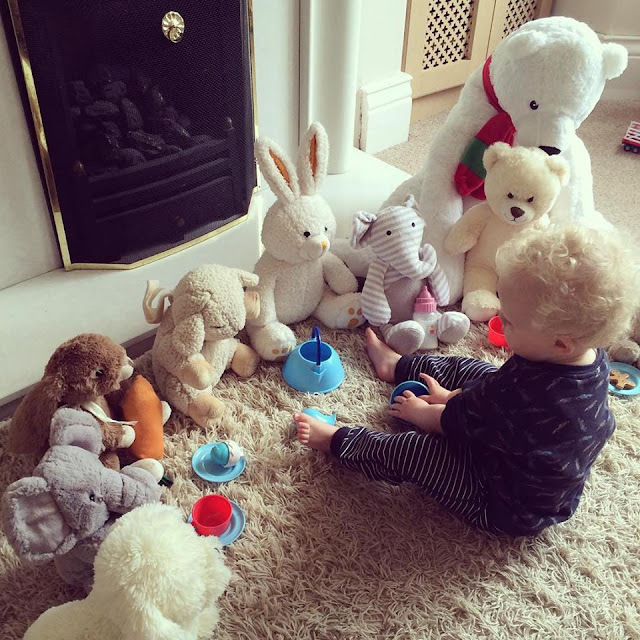 What's a raining day without a Teddy Bears picnic? I love our Friday afternoon's when Nick finishes at lunch. We have a bite to eat together and then go out just the three of us. Saturday we did our usual. 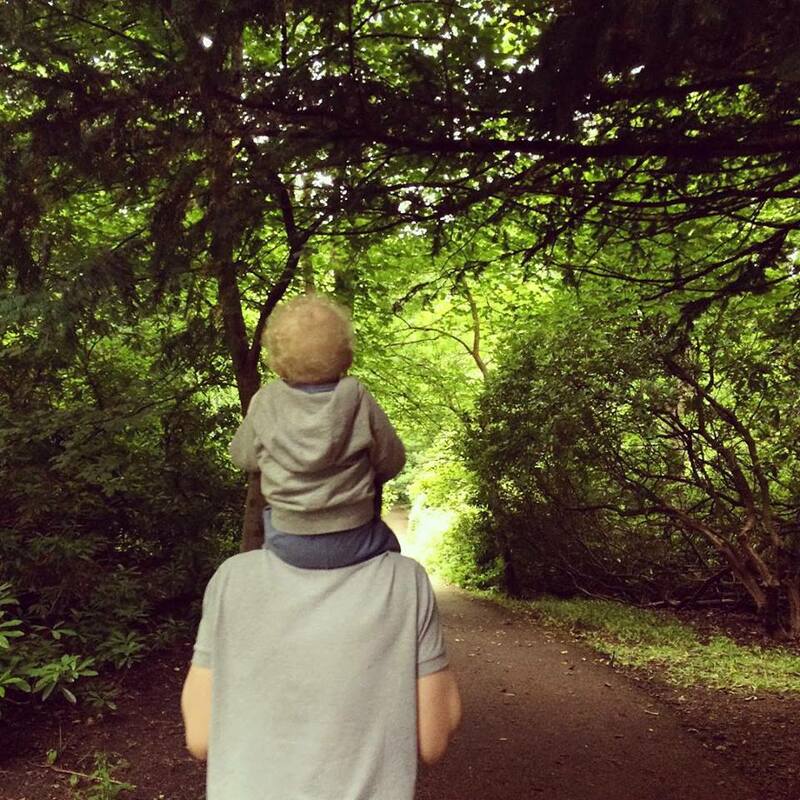 Went for a nice long walk, a trip to the park and then we visited family and had a cheeky takeaway! We didn't get up to anything extraordinary this week but it's been fun none the less. From the moment you bring your new-born home, one of the questions you’re constantly asked is “How is he/she sleeping?” Unfortunately, for some parents, bad sleeping patterns continue well into early childhood. If you are one of these tired parents, here are some hints and tips on how to improve your child’s sleep patterns, whatever their age. It’s important, from a very young age to establish a proper bedtime routine. 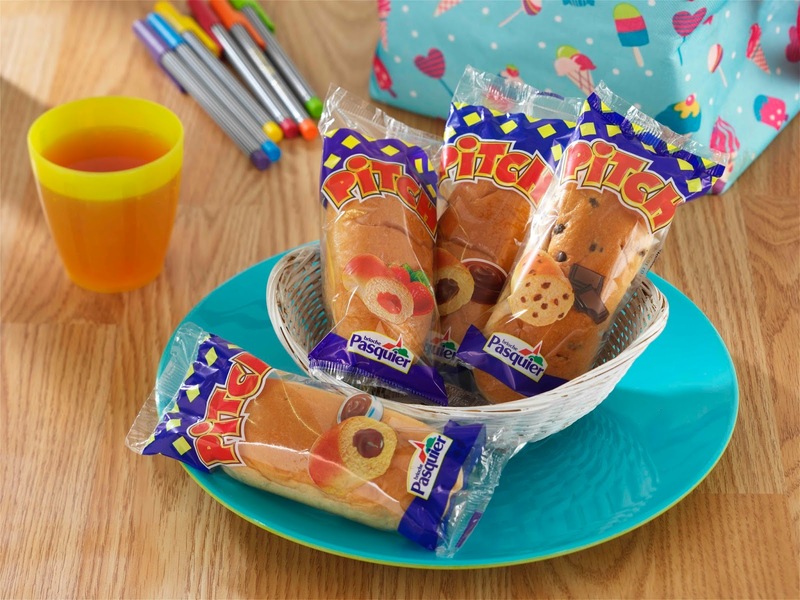 For babies and young children, this can be as simple as bath, supper, warm drink, story, bed. They will soon start to read the signs that bedtime is coming. It’s a good idea to put your child to bed at the same time, every night. Don’t be tempted to let them stay up later because it’s the weekend or the school holidays. 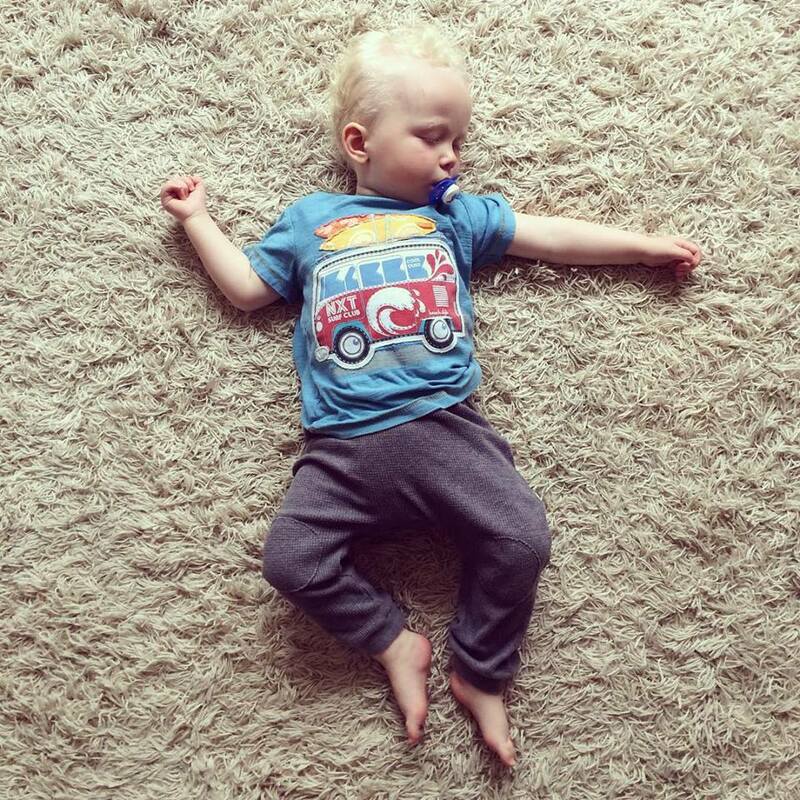 If you stick to a structured bedtime, your little one will start to understand that it is bedtime and they will become tired and ready for sleep at the same time each evening. If your child realises that you also have a bedtime and a ‘getting up time’, they are likely to be more accepting of their own bedtime. Remove any noisy, light-up toys and other distractions such as computers, tablets and phones from their bedroom. And don’t let them use technology before bed as the lighting on these items can interfere with the brain’s ability to recognise tiredness. It’s common in children for them to cause a fuss about not wanting to go to bed. By having a nice, relaxing environment to sleep in will help to avoid this. Cabin beds from brands such as Dreams, Steens for Kids and Julian Bowen allow you to create a haven for them by keeping their bedroom warm, comfortable and tidy. When choosing children’s bedroom accessories such as their bed and decor, allow them have some input. This will make them more excited for when they wish to go to bed. - This is a collaborative post. 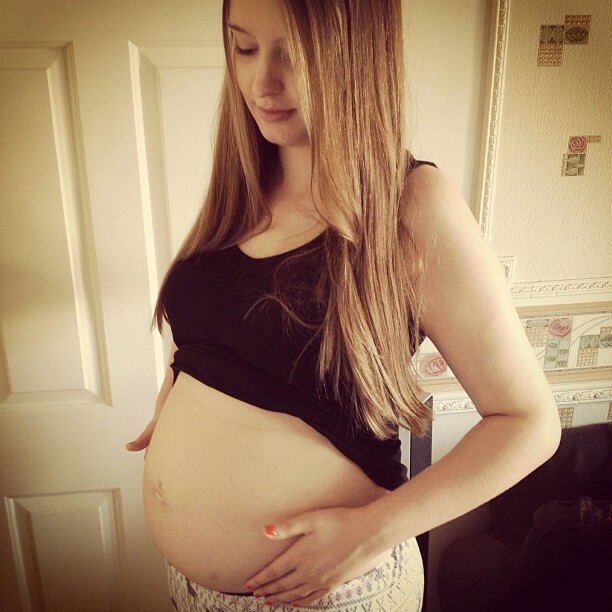 Pregnancy is an exciting time, but there's no doubt that it can put unbelievable strain on your feet. To help ease some of the little added pressure take a read of this guide from Simply Feet for choosing the right pregnancy shoes. You'll wear those four-inch stilettos again if you wish, but for now high heels simply aren't suitable shoes for pregnancy. This is because they tip your centre of gravity forwards, and you can be at risk of falling as your bump gets bigger. The extra weight that you'll carry will also put a tremendous pressure on narrow heels and cause your feet to suffer. So opt for comfortable and pretty sandals, boots and flats as your pregnancy progresses. It's a great time to treat yourself to comfortable and pretty pregnancy shoes. Your feet may well increase by up to one size, and the change is often permanent. Choose shoes which are roomy, supportive and complete with arch support if it's available. Comfortable, supportive shoes are a great investment and will ensure your feet are protected. Sturdier footwear can be great for extra support - think flat boots with soft soles. 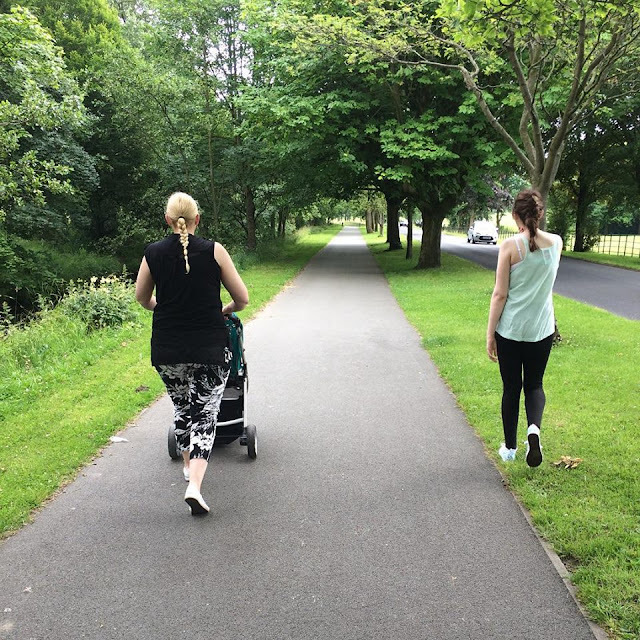 Anything that goes above the ankle is great, as it offers better structural support, which you might be pleased with as your bump gets bigger, particularly if you are walking over uneven surfaces. Flat sandals are a good choice and give you an alternative to trainers. Don't wear flip-flops outdoors, as they can lead to trips and falls. Shoes with a vionic orthotic footbed are ideal as they feature a biomechanical footbed to support and align your feet. Flat pumps simply don't offer enough support when you are pregnant - opt for lightweight trainers, Sandals with an orthotic footbed or more structured shoe types instead. Ideally, you want footwear that hugs the foot gently and doesn't allow it to simply slip out of the shoe. Select shock absorption soles that will cushion your feet and provide a high degree of comfort. Rubber soles are a good option. Don't wear shoes with thin soles, as they will put pressure on your arches. If you are wearing covered boots or shoes, opt for natural materials such as leather and suede which are breathable. Pregnant women tend to feel hotter than normal, and man-made materials can become uncomfortable. Try a cooling foot cream too. As well as investing in shoes for pregnancy, look after your feet with compression and compression tights and socks, and regularly treat feet with a reviving foot spray, soothing foot bath and a pamper with a rich moisturising cream. This will help you to experience good health during those all-important nine months. Installing Lead Flashing is a standard step for most home-owners, especially when expanding your house with a conservatory or an extension. Flashing covers gaps in roof material and forms an impervious barrier to prevent intrusion from rain and weather. While there are many materials produced for flashing use, lead offers the most durability and longevity. Unfortunately, lead flashing is prone to being stolen due to the high value of scrap metal, which makes it appealing to thieves. Many homeowners don’t even realise their flashing has been stolen until a rainy day comes and water enters their home – potentially causing hundreds or thousands of pounds worth of damage. Thankfully we’ve got some tips to help you prevent lead flashing theft. Criminals often hoist themselves onto your roof via a wheelie bin or gate that is near your garage or lower roof surface. Try to store your bins in a garage or storage area. If you must leave them out, locate them a short distance from your walls – meaning you may hear the bin being dragged towards your roof. If your home has any nearby trees, ensure the branches cannot be used to scale onto your roof. Metal thieves rely on a get-away vehicle to store their ill-gotten metal in. These generally take the form of trucks and vans, so try to limit access your driveway – either with a gate or a lift-out parking bollard. While this tip is more applicable to commercial premises like schools and hospitals, you can get a relatively cheap home CCTV system installed for between £100-200. Installing a spotlight or anti-theft light will help deter attempts. You can purchase anti-climb paint from almost any DIY store and paint it on your flashing to deter theft. However, you must ensure the paint is only on objects at least 2 metres from the ground and you legally have to install a sign warning that your property has anti-vandal paint. Consider replacing lead flashing with non-leaded material. While lead is the superior material in terms of longevity, it may be worth replacing your flashing with non-leaded materials. There are brands available that are lighter than lead, safer to handle and also have little to no scrap value. These lead-free solutions may not be as durable, but can be more than suitable for most uses around chimneys, roof lights and solar panels. Zinc flashing lasts around 25 years and is a good replacement – but some thieves won’t know the difference. SmartWater, SelectaDNA or RedWeb. These methods help police identify the culprits of theft and help secure convictions. Nothing in the world is as delicate or as precious as your baby’s skin. A newborn’s skin is five times thinner than an adult’s skin and is much more sensitive too. Yet, despite this, without knowing it, many of us expose our babies’ skin to chemicals every day, stripping baby’s skin of its vital moisture, leaving it irritated and sore. 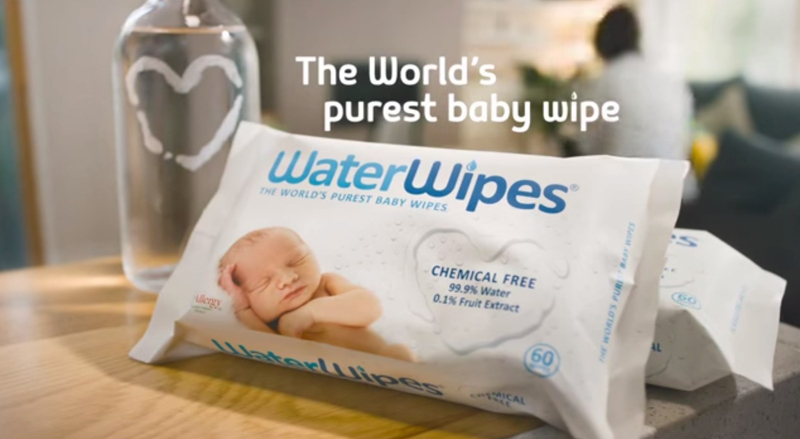 WaterWipes are the only wipes in the world that are as gentle on your baby’s skin as pure water. Scientifically formulated to be as kind to delicate skin as cotton wool and cooled boiled water – but much more convenient – the only ingredients used are 99.9% purified water and 0.1% grapefruit seed extract … and that’s it. Most parents change their baby’s nappy up to 10 times a day. Imagine wiping unsuitable ingredients on your baby’s skin 70 times per week, and then locking them in with a nappy. WaterWipes are suitable for babies with other sensitive skin conditions, such as eczema or psoriasis, which is why they are the only wipe ever to be approved by Allergy UK. I have partnered up with WaterWipes to offer you guys the chance to win a 3 months supply of WaterWipes, that's 12 packets! Fall in love with the world’s purest baby wipe for the world’s most sensitive skin. To enter simply use the entry form below, good luck! 1. 1 prize of 12 packets of WaterWipes. 2. Prize supplied directly from the PR. 4. Incomplete entries with be disqualified. I was pretty late to using cloth nappies but at the end of last year I decided to finally make the switch. Since ditching the disposibles I have not looked back and I really kick myself for not trying them sooner, better late than never! First off let me say that I am by no means an expert when it comes to cloth and I am still learning something new everyday but that hasn't stopped me wanting to put together a little Q&A type post. 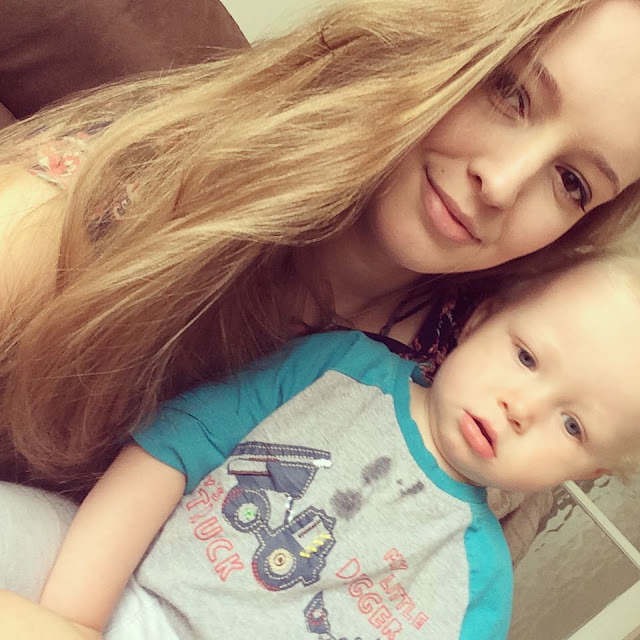 I love talking about real nappies and I want to share some of the tips that I have picked up a long the way. Over the past week or so I have been sourcing all types of different cloth related questions from various social media channels. Remember I am by no means an expert and these are just my opinions, what I have done, do and what has worked for us. I'm thinking of using cloth nappies, what should I do first? My advice to anyone who is thinking about using cloth nappies is to buy one or two nappies to begin with. I say this because you may like the idea of reusable nappies but once you are using them they might not be for you. Give it a trial run first and then if you love using them and it works for you then buy more. What do you need to get started? I would say you need around 15 nappies if you intend to wash every other day. This means you would need around 30 inserts too if you have decided to go for pocket nappies (some nappies have inserts included, others don't) You will need a nappy bin too to store the soiled nappies. There's so much more than you can buy but this will set you up nicely in the beginning. What was the first nappy you bought? I took my own advice and bought a couple of internet cheapies first. The first I bought was this super cute white minky number from Dudeybaba. It's a pocket nappy which came with an insert to pop inside. What is your favourite brand of nappy? Out of the ones I have tried I would have to say my absolute favourite is Bambino Mio, their Miosolo's in particular. I not only love the designs but I love that they are an all in one nappy (AIO) which means that the insert is actually stitched onto the nappy which makes stuffing and washing so much easier. What type of nappy do you use and why? I use a mix of all in one and pocket nappies both in popper fastening and velcro. I have both because I started off with pocket nappies with poppers to begin with as they are they are they are great starter nappies and probably the cheapest too. I recently started using all in one nappies and have to admit I do prefer them over pockets. How many nappies do you have in total? The last time I counted I had 35 and my stash mainly consists of Bambino Mio, Baba+Boo, Dudeybaba and Tiny Nippers. 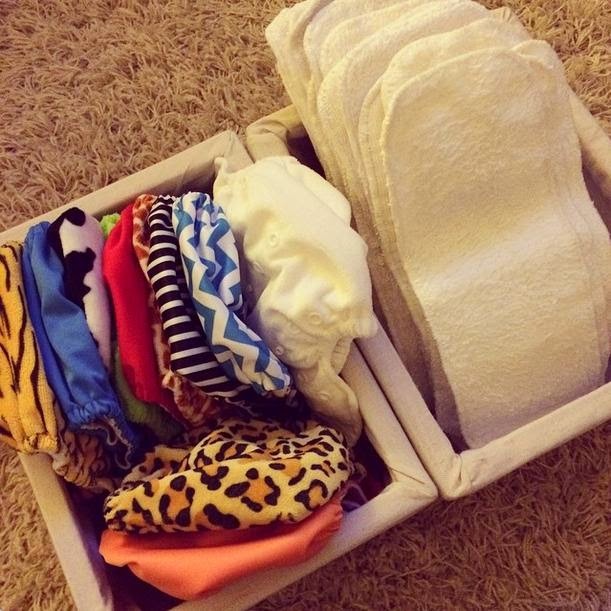 Considering I have only been using cloth nappies for a few months I think that's a good start! It's more than enough now but I can't help but buy more. Do you have a wash routine? Every two days I put all the soiled nappies, inserts, liners and wipes (everything in my nappy bin) into the washing machine. First of all I put them on a cold rinse, sometimes twice. Then I wash on 40oc or 60oc for 2.5 hours with a scoop of non bio. Once the cycle has finished I then give the nappies an extra cold rinse. To dry them I put everything on a clothes horse and they usually dry within 24 hours. Then they are ready for stuffing! How do you deal with the poo? Just like I would with a disposable but I simply put the poo in the toilet and flush! I don't need to touch anything, it usually just falls straight into the water or I just use a bit of tissue. 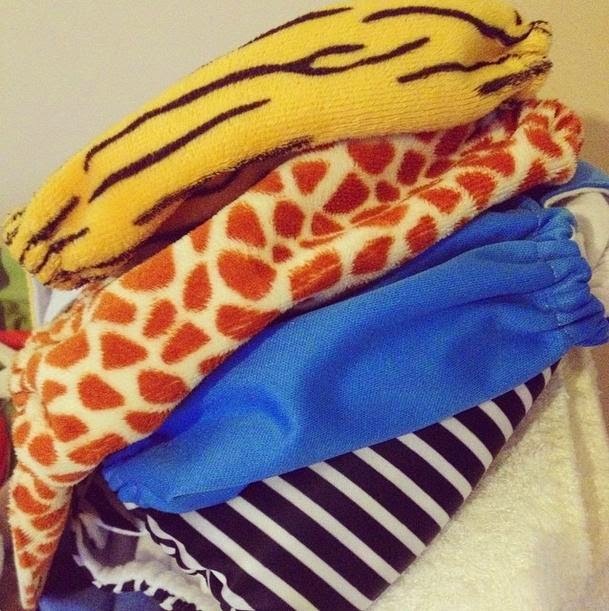 There is some huge misconception about cloth nappies and poo. It's always one of the first questions I am asked and I don't see the big deal. You don't touch wee or poo any more or any less than you would with a disposable nappy. 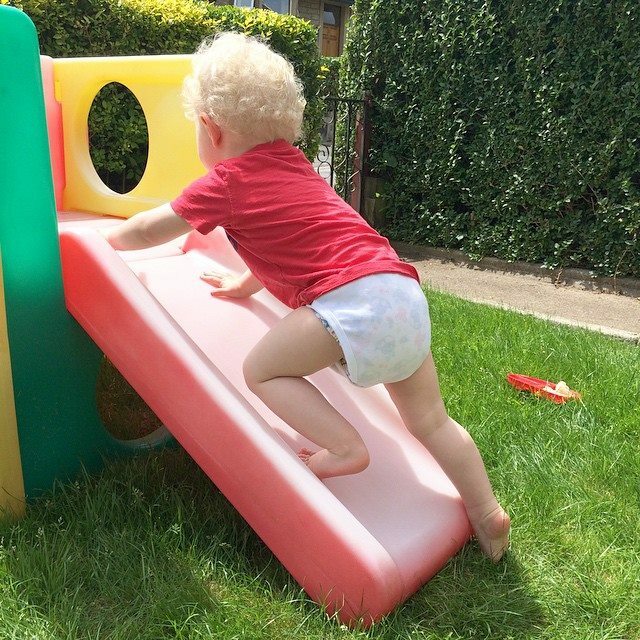 If you are considering using cloth nappies or are wanting to switch I say give it a go! What's there to lose?! Sunday. Noah spent the afternoon with his Nanna at a hot air balloon festival then we drove over to pick him up. We had some dinner and then went on a two mile walk through the woods. Such a nice, easy going day. I love family days like these. 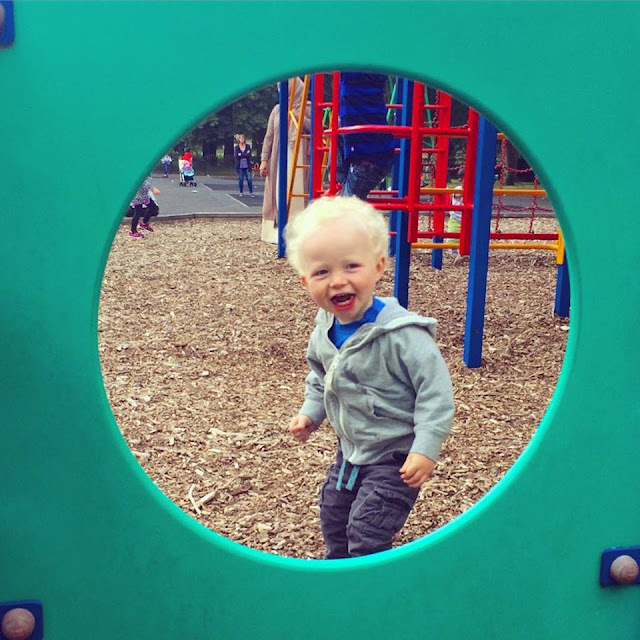 Monday is playgroup day! We were late as always despite getting ready in good time. I blame the cats, don't ask! When we finally made it there Noah played with his friends and had a blast bombing it around the place. After song time we all went into the soft play area where Noah showed off his diving skills, or should I say lack of! He is such a klutz! Noah loves to sleep and enjoys long naps but he's never been one to fall asleep on the floor, in his high chair or while playing. In fact he has never done that, ever. He likes to sleep all cosy in his cot and even asks to go up himself. So when this happened two days on a trot I was very surprised. I had changed his nappy before I took him up for a sleep, I kissed him on his forehead and he instantly fell asleep. Precious moments. My good friend Cassie surprised us on Wednesday by sending Noah a little surprise from her holidays. I wasn't expecting anything so when I discovered this little cutie in the mail it did bring a smile to my face. 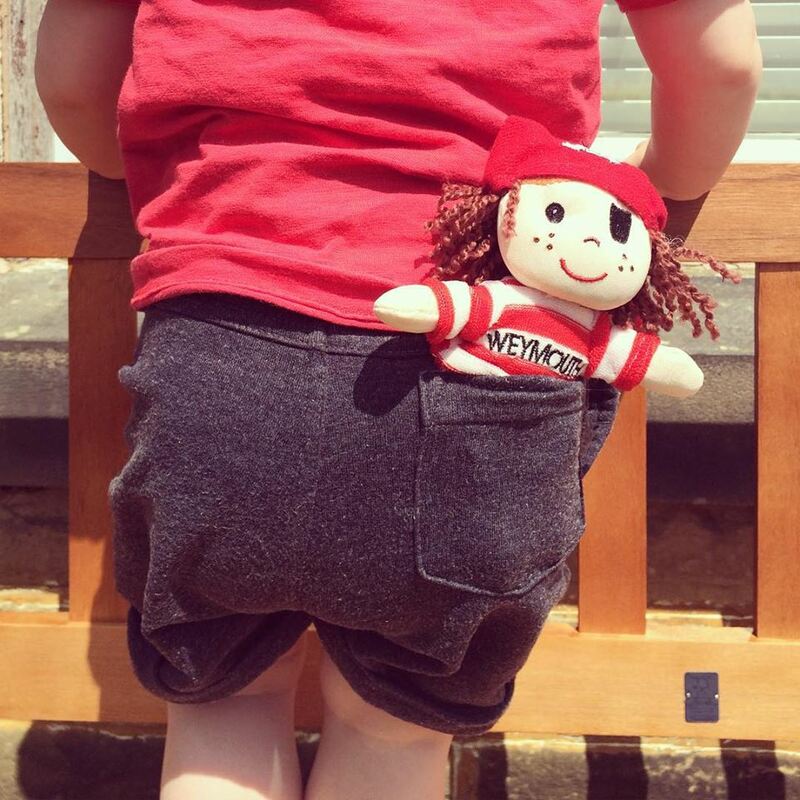 Noah spent the afternoon in the garden with his pirate friend in his pocket. I was looking forward to Thursday all week because my Mum and Sister were coming to visit us for the afternoon. They missed their first train but once they arrived we headed out for a walk to the park and for a bite to eat. The weather was gorgeous and it was lovely being together. My sister emigrates to Los Angeles soon so moments like these are fleeting and it's very bittersweet. Friday we didn't get up to anything very exciting but we did pop to the shops to pick up Noah some treats. 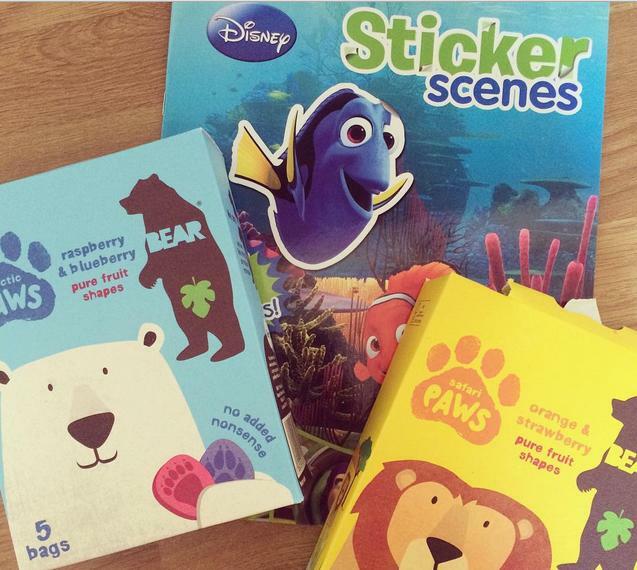 At the moment he is obsessed with sticker books! It's like reliving my childhood all over again. Saturday we decided to pay a visit to Thornton Hall Farm for the first time. A day out like this is ideal for us as we are all such animal lovers and love being outside in the fresh air too. 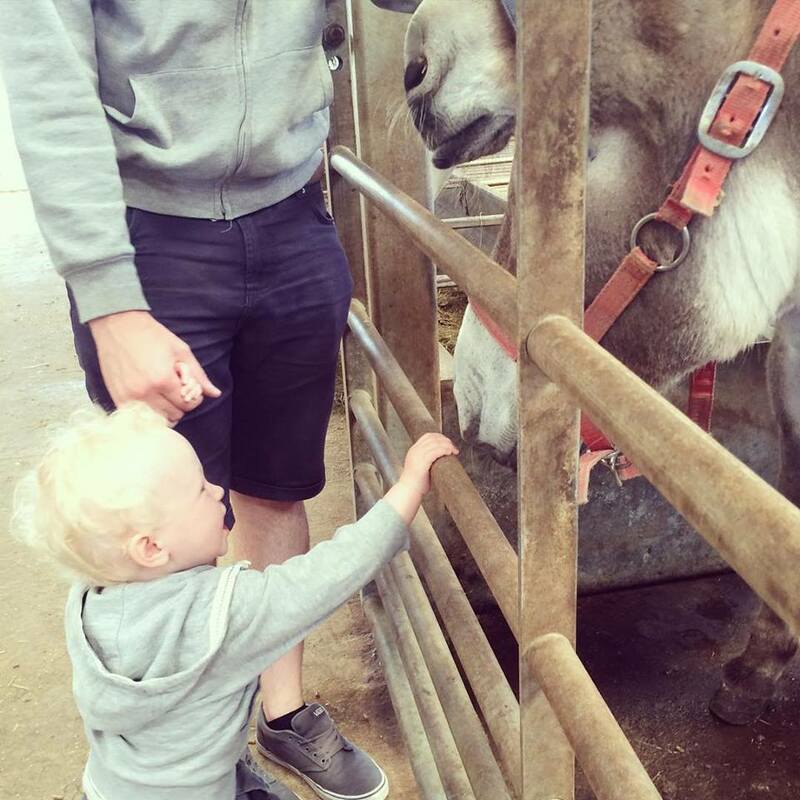 Noah had so much fun greeting and being gentle with the animals but the most fun he had was riding on the toy tractors and pointing out all the machinery! He's such a boys boy! We will definitely be visiting again soon, it's our new favourite place.